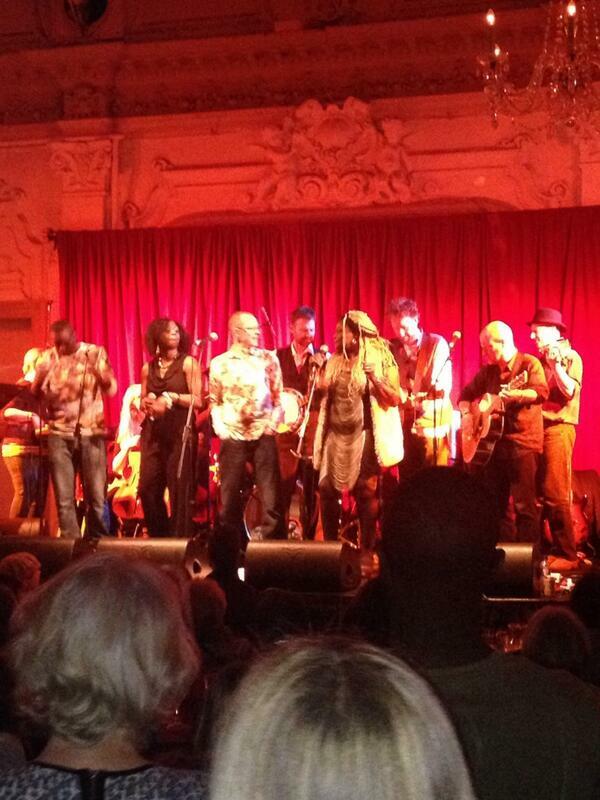 Thanks so much to everyone who came to the Bush Hall gig. It was a really special night for us. We sold out! We’re incredibly proud of Platform 7. 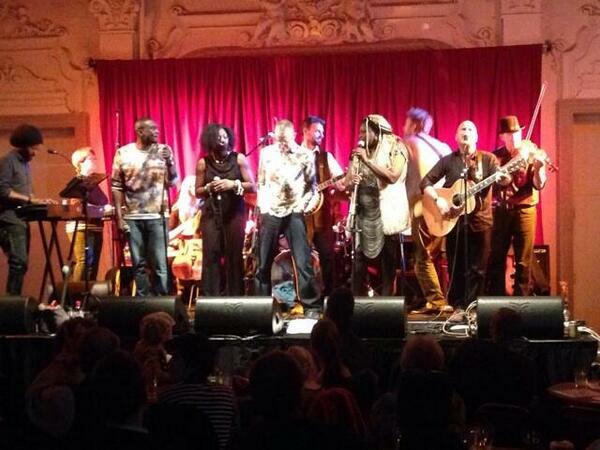 They did a magnificent job, and it was fantastic to play to such a large and appreciative audience. Special thanks to Police Dog Hogan, who are brilliant and true gentlemen. The collaborative numbers at the end of the show were something else. For anyone who wanted to use Just Text Giving but missed the details, you can donate by texting BAND07 followed by either £3, £5 or £10 to 70070. Here are a couple of photos from the night, courtesy of our Twitter friends; as you can see, we did just about manage to fit both bands on stage!